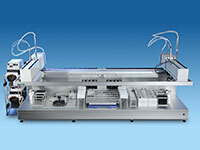 Zinsser Analytic offers a modular state of the art liquid handler robotic system, combining sophisticated and flexible liquid handling with robotic manipulation. 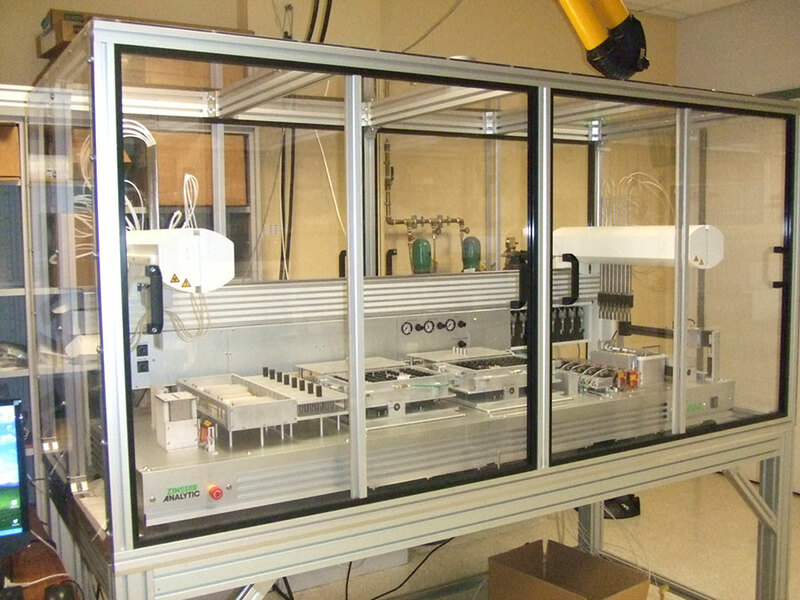 The modern, uncomplicated design integrates robotic and liquid handling functionality into a robotic arm, which glides on an x-rail to access racks modules on or off the workbench. 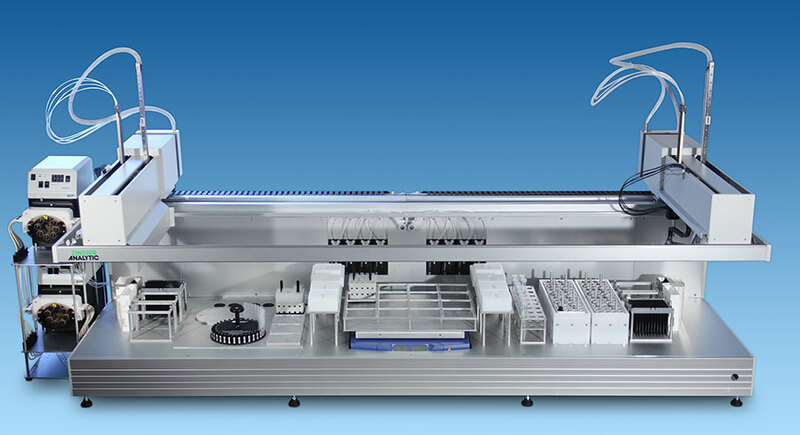 With more than 40 years of experience in the industry, Zinsser Analytic continues to refine and improve the basic design of the automated liquid handling platform, providing new levels of reliability and flexibility. 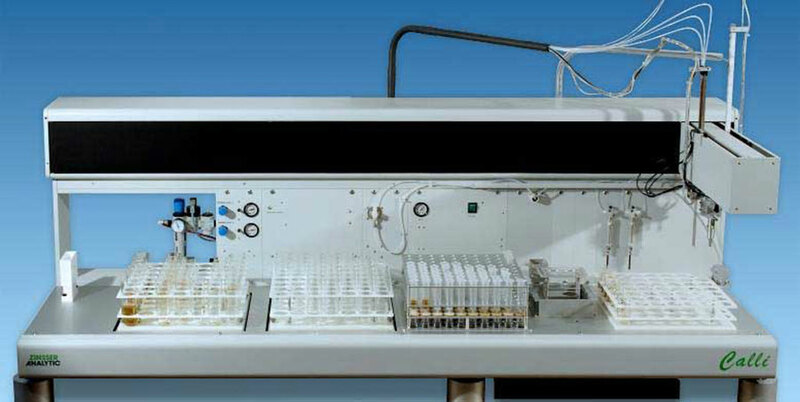 The liquid handler system is available with one arm with up to 8 dispensing tips, or two arms with up to 16 total dispensing tips. 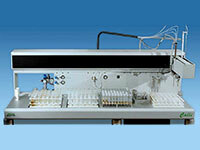 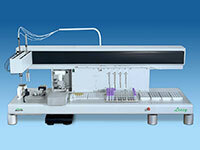 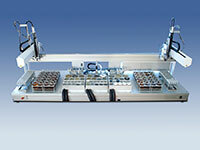 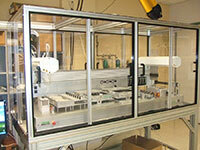 Either arm can be configured with a gripper for moving plates, vials, and other labware. 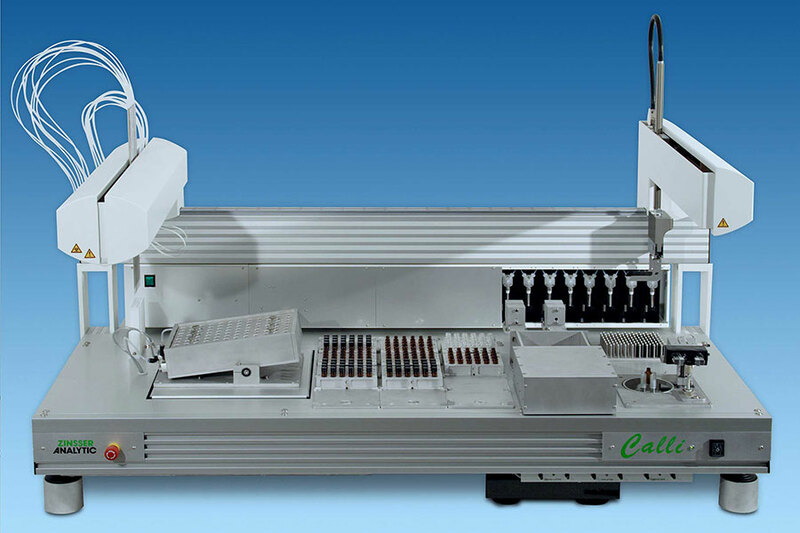 High working speed, rapid arm movements and a compact syringe pump make it much faster than most liquid handling systems on the market. 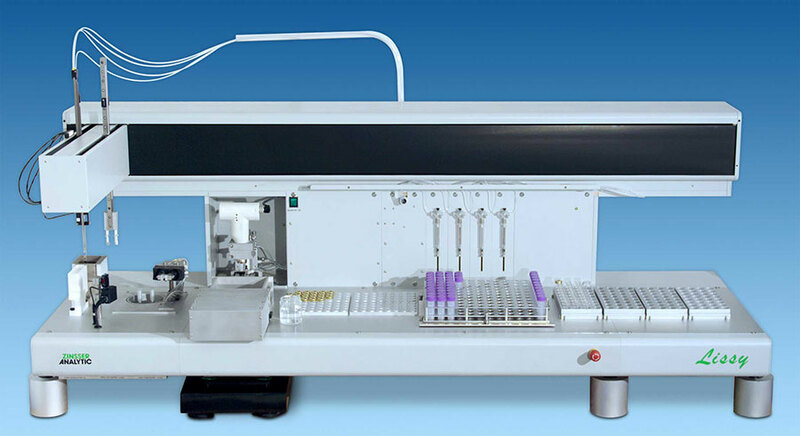 The liquid handler can be configured with your choices from our menu of available tools that offer enhanced capabilities beyond traditional pipetting and liquid handling. This provides you with the power to accomplish more with automation, even including tasks such as capping and decapping vials, working with very viscous liquids, moving powders as well as liquids, and more. 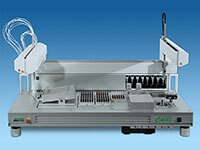 Use the TOOLS menu to the right to see more information about these options. 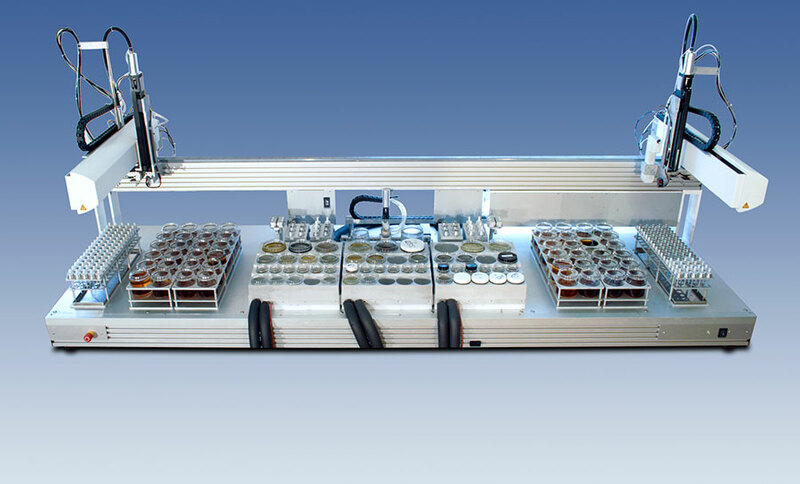 By combining the various tools that are available with the development of software, the Zinsser liquid handling system has been configured to solve a wide variety of applications problems. 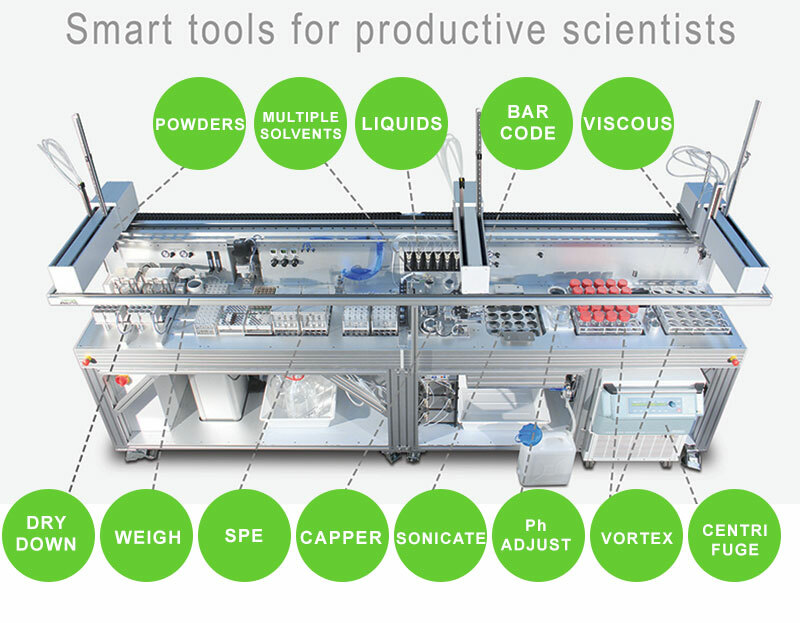 The combination of a solid and reliable liquid handling platform along with the flexibility to add extra problem-solving tools offers advantages above and beyond the traditional liquid handling market. 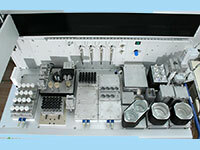 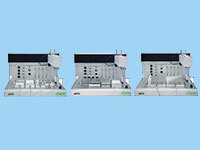 For examples visit our APPLICATIONS SOLUTION WEBPAGE.